Thanks to a 17-17-8 record through the New York Islanders‘ first 42 games, Jack Capuano is out of a job. And before things get better, there will be a transition. Doug Weight’s promotion to interim coach isn’t a new chapter for the team. But with 40 games left to play, it could be a golden opportunity for the team and several underperforming players to turn their seasons around. Like Weight, there are more than a few players looking to prove that they will be part of the Islanders’ future. With the departure of Frans Nielsen this offseason, Strome had an opportunity to become the team’s number two center. But with just six goals and 14 points in 39 games this season, Strome has disappointed. He’s not the two-way player the Isles need. A healthy scratch at times and relegated to the third or fourth line at others, Strome needs a wake-up call. Perhaps Weight should shuffle the lines a bit to give Strome an opportunity to create. That would be optimal for the youngster. In his 50-point season in 2014-15, Strome had 33 assists. In order for him to be a success in the NHL, he has to have a player to pass to. With Anders Lee playing with John Tavares, Strome needs to “make” someone a scorer. A former first-round pick, Strome has that pedigree. Can Weight help him regain it? Ladd’s eight goals came in bunches and now it appears he is ice-cold again. A former 20-goal scorer, even in his off-seasons, Ladd is on his way to producing dismal numbers. It hasn’t been for the lack of opportunities either. Playing on the team’s top power play unit and with Tavares, Ladd just hasn’t produced. It’ll be interesting to see where Weight puts him. With six years left on a massive contract, Ladd has to be the player the Islanders paid for. His play has been solid as of late, with a three-game goal-scoring streak. On pace for a 16-goal season, Chimera hasn’t been awful, but he hasn’t burned people with his speed like he has in years past. The fact that he’s shown glimpses of his speed proves it’s still there. In order for the Islanders to get a solid return on their investment, Chimera needs to get back to the 20-goal mark he was at last year. If that happens, it’ll be on Weight to use him properly over the last half of the season. Like Chimera, Kulemin has played well lately, but with his salary almost twice as high, Kulemin needs more than seven goals. 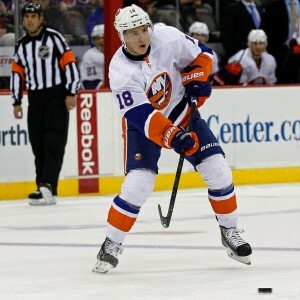 A former 30-goal scorer, Kulemin has 31 goals in two and a half seasons with the Islanders. Although crafty and able to play in a variety of situations, his numbers just aren’t there. 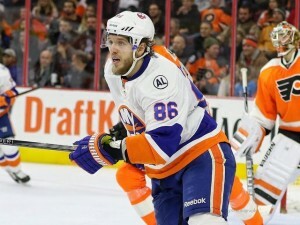 With another year left on his contract, the Islanders are stuck with him and his salary. Can Weight do something Capuano couldn’t with Kulemin? He’s already established himself as a capable number one goaltender. But in order for Greiss to prove he’s worthy of a big contract next season, he’ll have to continue his stellar play. That means he’ll need to start 30 of the team’s remaining 40 games. While that may hurt the development of JF Berube, it will help the Islanders make a clear decision on Greiss’ future. With Jaroslav Halak still under contract, they’ll have to be careful with Greiss.